Leaker Ice Universe has published an image of an unannounced, bezel-less smartphone that some believe to be a Galaxy S10 prototype. 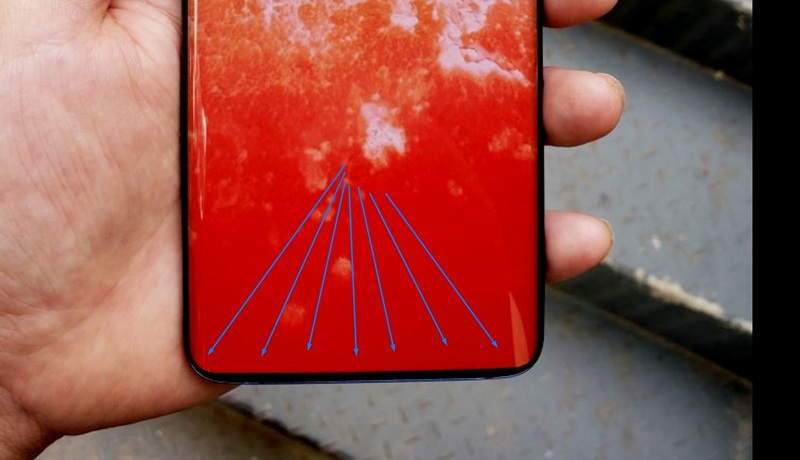 The image was published on Twitter earlier today alongside the cryptic words “This may be a design beyond” — what some interpreted as a reference to the rumored Galaxy S10 codename (Beyond). The image shows a phone with a bezel-less display, without a notch, speaker or sensors of any kind. It also seems to lack an OS, as no permanent notifications or on-screen buttons can be seen, though it could display a full-screen image on a UI that lacks an on-screen button overlay (my Huawei P10 buttons are permanently shown in the gallery app). The phone has a similar shape to the Galaxy S9 and S9 Plus, and Samsung is expected to make the S10’s bezels even thinner, like seen in the image. The Galaxy S10 could also use a discreet camera system like on the Oppo Find X, and a sound-emitting display, removing the requirements of a front-facing camera and speaker. With all that being said, this probably isn’t a Galaxy S10 prototype. There are a couple of odd reflections (on the lower-middle-left and bottom right) and the artefacts across the bottom of the display are suspicious. What’s more, we rarely see image leaks this soon before a device’s potential launch (possibly in February 2019 at MWC) — even for prototype units. The first photo of the Galaxy S7 arrived around one month before its release, the first photo of the Galaxy S8 appeared around two months before its release, and the first photo of the Galaxy S9 popped up roughly two months before its release. A clear photo of a Galaxy S10 before we’ve even glimpsed the Samsung Galaxy Note 9 — which could launch in just two months — is unlikely. Trusted Android leaker Steve Hemmerstoffer (OnLeaks) also hinted that the image was sketchy. Finally, Ice Universe themselves did not suggest this is a Galaxy S10 prototype. The use of “beyond” in the tweet could be coincidental or a result of machine translation from Chinese. In fact, on his Weibo page, Ice Universe used a caption that translates roughly to “This is the next step”. Going from “next step” to “Galaxy S10 prototype” requires quite a leap of faith. None of this is to say the Galaxy S10 won’t look similar to this phone, only that this phone probably isn’t what some are reporting it to be. What do you think? Fake news or the real deal? Let us know in the comments.